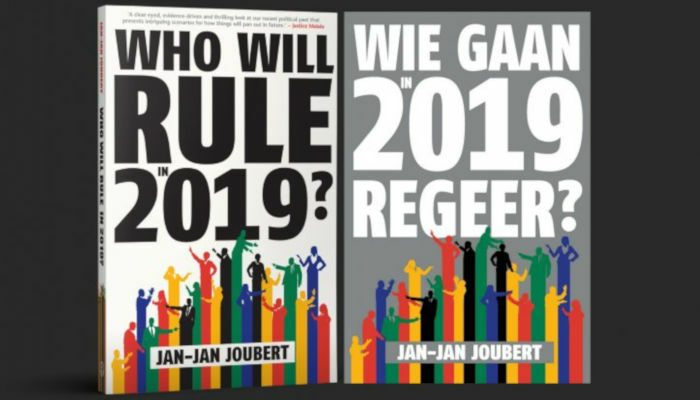 ‘It’s a very useful book’ – Eusebius McKaiser reviews Jan-Jan Joubert’s Who Will Rule in 2019? Political and social analyst and author Eusebius McKaiser has shared a review of Jan-Jan Joubert’s new book Who Will Rule in 2019? Joubert is a veteran journalist who has covered parliament for various publications since 2001. He was previously political editor of Die Burger, Beeld and Rapport, as well as deputy political editor of the Sunday Times. In Who Will Rule in 2019?, Joubert examines the results of the local elections and argues that the 2019 national elections may well be the first in 25 years in which no party wins an outright majority. I enjoyed Who Will Rule In 2019? by Jan-Jan Joubert and think it’s a very useful book. There’s something in this book for a range of folks: political reporters; commentators and analysts; academics working in various areas of contemporary South African politics; and the general reader keen to beef up their understanding of some of the dynamics in our body politic especially as we head to a general election in 2019. This is only a short review so not an exhaustive analysis of what I liked and what I disagree with in the book. I think Jan-Jan does well to take electoral data more seriously than most political reporters in making sense of voting registration trends, voting patterns over successive elections and combining a keen eye for the factual data and trends analysis with deep, structured interviews with politicians from no fewer than eight political parties. Jan-Jan also has a very good grasp of electoral history going back to 1910 and so, as we face the prospects of coalition governments or cooperation arrangements, he reminds us that, contrary to belief among some of us, political history both recent and not-recent, gift us many case studies with which to work out when coalitions work and why, and when they do not work and why not. That, combined with his data analysis of especially the 2016 local government elections, make the book a very good resource for pundits, journalists, politicians and all other political animals. He writes in an easy style and you need not have a specialist interest in politics to enjoy and benefit from his authoritative take on how 2019 might play out and a very careful sketch of coalition dynamics past, present and (with various necessary caveats) in our imminent future. I think the analysis of empirical data matters especially in a context in which we often fall back on narrative frameworks that do not always track facts. I won’t summarise the key conclusions he then draws. You’ll find these in the book, especially the first three and the last three chapters which are, in my view, the best.